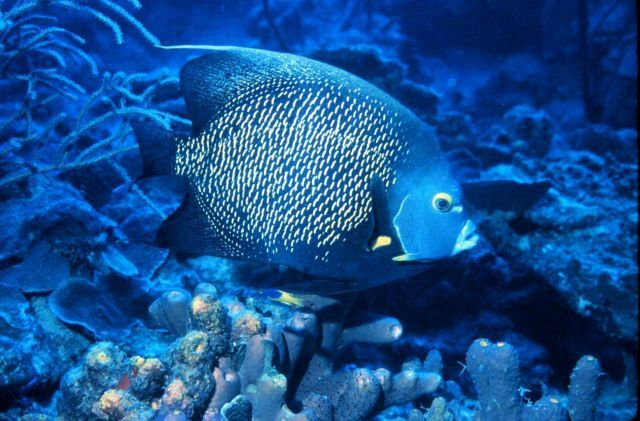 French angelfish are common on shallow tropical reefs. Pomacanthus paru. Photo Location: Tropical Atlantic Ocean.